The Maritime Aquarium is in the heart of the historic waterfront neighborhood of South Norwalk, affectionately called SoNo. 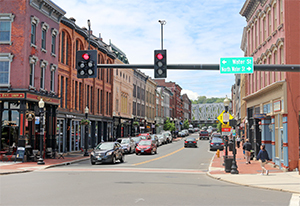 This busy area is alive with boutiques, cafes, and eclectic shops by day; movie theaters, nightclubs and fine restaurants by night. SoNo's eateries and shops are just a short walk from The Maritime Aquarium. For more information about SoNo click here or visit their Facebook page. To learn more about attractions and events in Coastal Fairfield County click here. You can go to the City of Norwalk's website for more information about Norwalk at www.norwalkct.org. You also can check out the local Norwalk paper: The Hour. Online news from and about Norwalk also can be found at The Norwalk Daily Voice, the Hamlet Hubs for SoNo and Norwalk, and Norwalk Patch. To learn more about what else there is to do in Fairfield County, visit FC Buzz. What Else is in SoNo? Norwalk Seaport Association: Founded in 1978, the Norwalk Seaport Association is lower Fairfield County’s most active nonprofit organization devoted to maritime preservation, education and the area’s seafaring heritage. It maintains the Sheffield Island Lighthouse, offers summer boat rides out to the lighthouse and also sponsors the city's annual Oyster Festival each second week of September. Stepping Stones Museum for Children: Named one of America's Top 50 Children's Museums, it features interactive exhibits, educational programs and fun for the whole family. Lockwood-Mathews Mansion Museum: One of the earliest and finest surviving Second Empire Style country houses ever built in the United States. Tours are available. The state of Connecticut has much to offer. 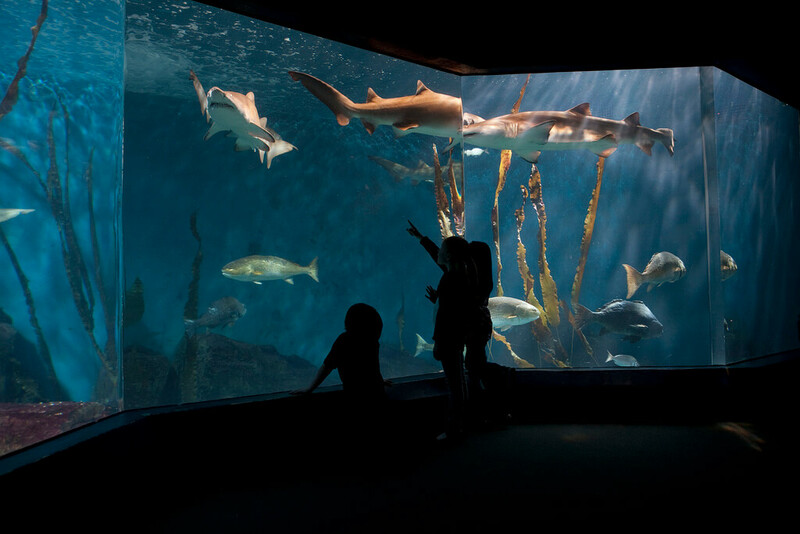 Turn your visit to The Maritime Aquarium into a weekend or weeklong vacation. For all you can do in Connecticut, visit the state's official tourism site: ctvisit.com. Metro-North Railroad offers a package through its One-Day Getaways that includes discounted rail service to South Norwalk station and admission to The Maritime Aquarium and an IMAX® movie. For details, call 1-800-METRO-INFO or visit their website. If you’re making your visit to The Maritime Aquarium part of an extended trip, you’ll need a place to stay. The hotels listed below offer their guests either discounted Aquarium admission vouchers or packages that include Aquarium vouchers. Extend your Norwalk visit with a meal in a nearby eatery. Show your receipt and save! Donovan's 138 Washington St., save 10% with Aquarium receipt. Local 68 Washington St., save 15% with Aquarium receipt. Norwalk's public dock is just across the river from our dock. Join us on a cruise to learn what's under your keel, or spot seals or experience the first hybrid-electric research vessel in the U.S.A. There is plenty here for a weekend trip. Check out this travel story by New England Boating, Report from the field: Norwalk, CT.